The Best UK Chemistry Blogs from thousands of UK Chemistry blogs on the web using search and social metrics. Subscribe to these websites because they are actively working to educate, inspire, and empower their readers with frequent updates and high-quality information. Cambridge, England About Blog Compound Interest’ is a blog producing easy-to-understand graphics on a variety of chemistry topics, focusing particularly on the chemistry we come across on an everyday basis. Facebook fans 277,686. Twitter followers 62,995. Oxfordshire, UK About Blog My name is DR Kat Day and I have a PhD in chemistry and over a decade’s experience as a chemistry teacher. This blog is about Tales of interesting chemical tidbits and chemistry coursework. Facebook fans 5,027. Twitter followers 1,540. Royston, England About Blog The latest chemistry news, tips, and tricks. Covering batch chemistry, flow chemistry, reaction calorimetry, and scale-up chemistry. Facebook fans 62. Twitter followers 587. Cambridge, UK About Blog Chemistry magazine bringing you the latest chemistry news and research every day. This magazine covers science news, research, reviews, features and opinions. Read Chemistry World to keep up with stories from across the chemical sciences. Facebook fans 970,076. Twitter followers 427,515. Mayfield, East Sussex, UK About Blog Scientific Update, established in 1989 by Dr. Trevor Laird, organises conferences and training courses for industrial chemists and chemical engineers in chemical development and scale-up and many other specialist topics in organic chemistry. Facebook fans 479. Twitter followers 587. London, UK About Blog Nature Chemistry is a monthly journal dedicated to publishing high-quality papers that describe significant research in all areas of chemistry. Discover the world’s best science and medicine from this blog. Facebook fans 9,000. Twitter followers 197,497. Bristol, UK About Blog This blog is a project of staff and students of the School of Chemistry at the University of Bristol. Picture It... Chemistry is a blog combining photographs of familiar objects taken in a laboratory setting with information about some of the key molecules contributing to their properties and uses. We hope it will stimulate your interest in chemistry. Facebook fans 2,505. Twitter followers 1,127. London, UK About Blog Hello, I’m Mariam, the author of Crystals and Catalysts chemistry blog. Created out of a passion for all things chemistry and biology related, Crystals & Catalysts is a science & health blog that is inspired by the latest updates in science news such as the as the Ebola outbreak to the benefits of coconut water. I hope you enjoy your read and make this website your primary destination for all your science and health news! Facebook fans 720. Twitter followers 294. 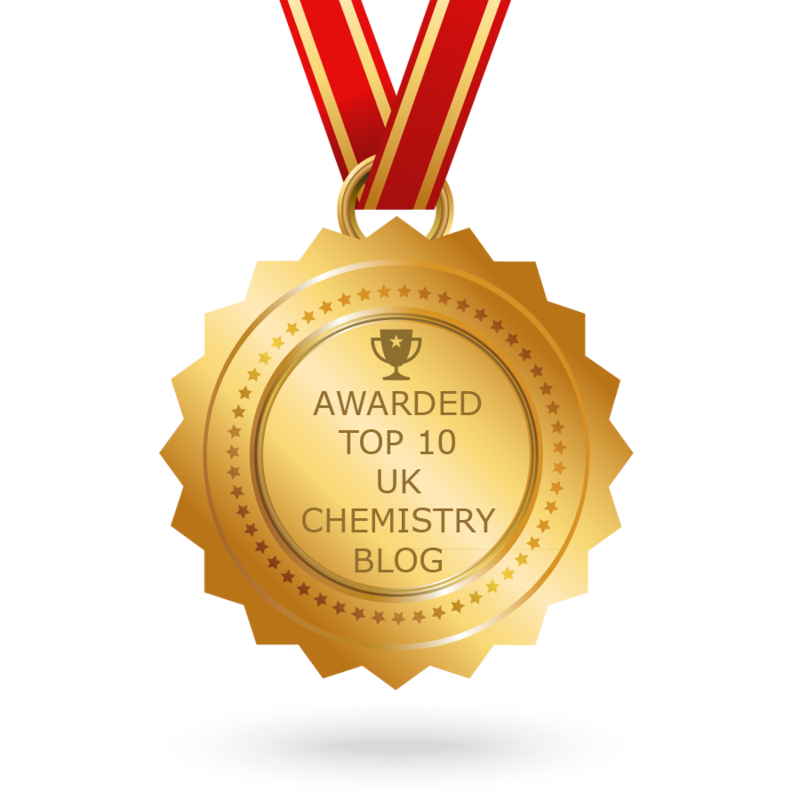 CONGRATULATIONS to every blogger that has made this Top UK Chemistry Blogs list! This is the most comprehensive list of best UK Chemistry blogs on the internet and I’m honoured to have you as part of this! I personally give you a high-five and want to thank you for your contribution to this world.